Regular Ad Space in The Alpenhorn includes half- and full-pages in either color or black and white, which appear throughout the magazine. Regular Ad space includes standard ad design by our staff designer, but outside artwork that meets the design guidelines is accepted. Please refer to Design Guidelines for details. We also offer Custom Design ad services for an additional fee but you may also provide artwork if you prefer to provide your own advertisement. You can also upgrade to custom design for a reasonable design fee. Details provided in Description below, along with information regarding Regional BMD Club ad discounts. International Members, please select PayPal upon checkout. Regional BMD Clubs now receive a complimentary half-page black and white ad to promote an event once in every calendar year (no design included). 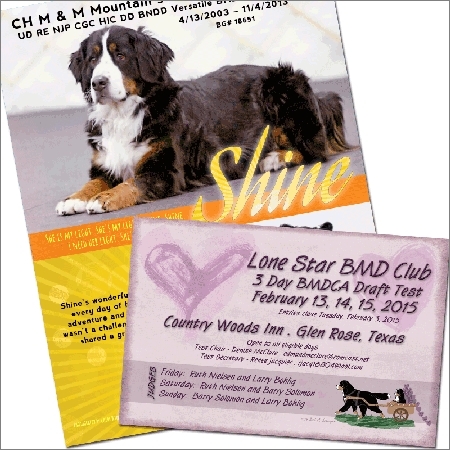 Additionally, Regional BMD Clubs are granted a very special club-only price on black and white advertisements, as well as a discounted custom design rate. Visit http://bmdca.org/alpenhorn/advertisers.php for further information, or contact Beth Schmoyer mailto:baschmoyer@rcn.com].